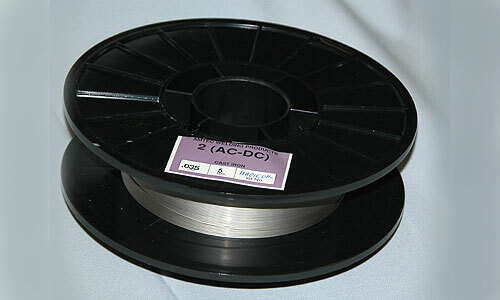 Amtec 2 Cast Iron MIG is a solid bare wire whose properties are of a unique nickel-iron-manganese metallurgical structure. It is designed for use on ductile, malleable and grey cast irons in all positions and at high deposition rates of up to 18 lbs. per hour. The wire may be used with the MIG process utilizing the spray, pulsed arc, or short-arc methods. Reverse Polarity with Constant Voltage is required for MIG applications. Argon/CO2 (75/25) should be used for MIG applications. This product produces high strength and ductile welds, while maintaining machinability and color-match. Download the product information .pdf for more details.